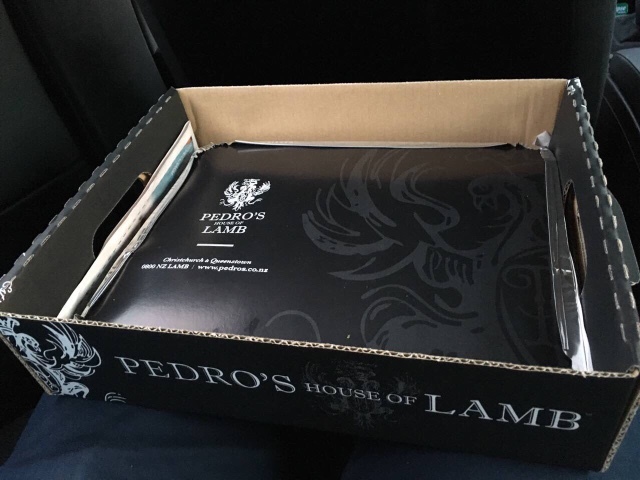 The people at Pedro's house of lamb are so friendly. They will happily pose for a photo if asked :). 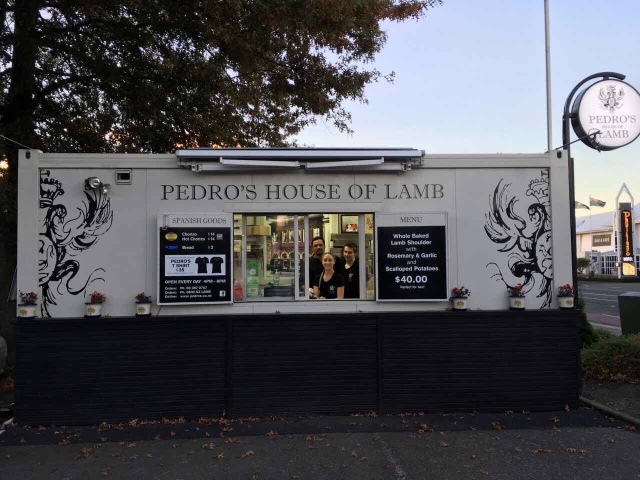 The main Pedro's are in Queenstown, popular eateries Dad wanted us to also experience. 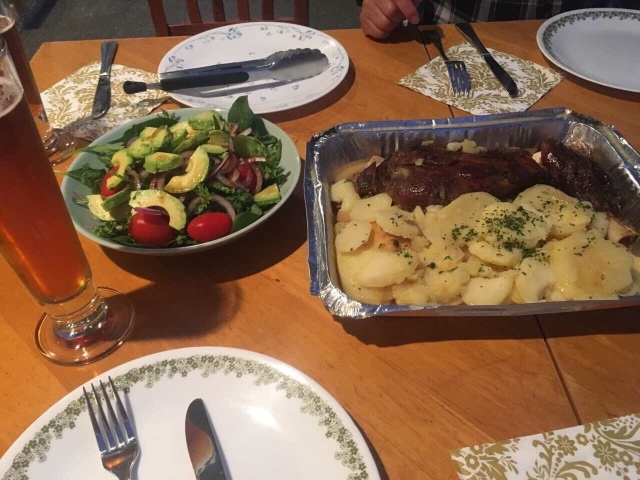 While we can't always accompany him when he is working, we can certainly take home a bit of the famous lamb dish from their Christchurch branch. I'm pretty sure this is a temporary place because: a. it was a shipment container, though not an usual sight in Christchurch, it was also, b. on a parking lot next to the petrol station. You just rock up and they already had a box ready for us to pick up, no waiting needed. Good thing they were so quick because we were hungry! We got a box for two people but it must have been for two very big starving peeps because it was more than enough for our family of four. Thanks, dad, for the suggestion!